Among the architectural pillars of Zangezour the monastery of Tatev doesn’t have its rivals. This used to be wealthiest medieval monastery in Armenia. 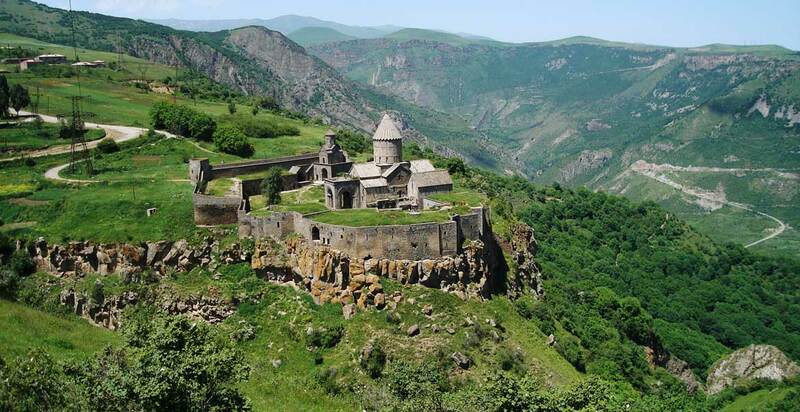 Besides being a religious center Tatev was also the important strategically center of Syunik kingdom. Being situated on a naturally defended place Tatev monastery has always been an impregnable fortress for alien. In non-stable political conditions the several secret ways in the territory of the fortress led he way to the canyon and served as a link between the monastery and external world. Tatev Ropeway (Tatever, Wings of Tatev) was opened in 2010, which is the longest ropeway in the world with road feedback.